Strand hosts the Pacific Brewers Cup this year, Final Fridays schedule announced, Iron Brewer ingredients and schedule announced, epic beer road trips. 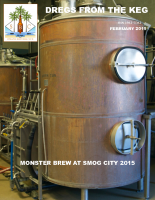 This edition features articles about the Monster Brew at Smog City 2015, the Great Malt Extract Experiment, and Brewing in a Time of Drought. 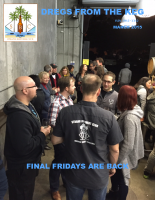 Final Fridays are back, getting ready for the AHA Rally at Stone Bus Tour, Sierra Nevada Bigfoot vertical tasting, and preparing for the SCHF. 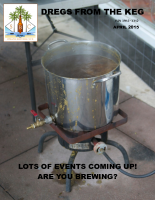 Lots of events to brew for coming up including the Mayfaire Competition, SCHF 2015, and Bite at the Beach; Strand Brewers’ Irish Heritage; and More Baking with Spent Grain. 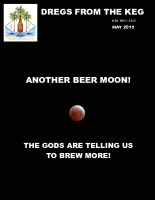 Another beer moon, Bob Wilson’s article on Water Chemistry, Congratulations to Rives Borland who has wins for a beer and a cyster in the first round of the AHA National Homebrew Competition. The Southern California Homebrewers Festival is back and people were waiting in line at the Strand Brewers Club bar. Ryan Penrod, Dan Parker and Heidi Parker represented the club big time at the Mayfaire Homebrewers Competition. 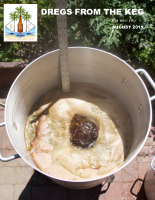 And there are many events coming up including a monster brew, National Homebrewers Conference, BBBB. . . , and Pacific Brewers Cup. 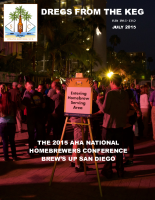 It was a busy month with the Monster Brew at Monkish and the 2015 National Homebrewers Conference in San Diego. 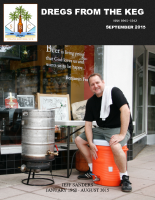 Rich Thornton won the 2015 Round 2 Iron Brewer Challenge! 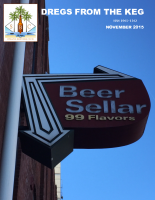 The featured article is Making Beer Like It Is 1850. 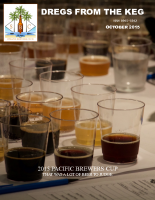 The 2015 Pacific Brewers Cup was hosted by the Strand Brewers Club and A Week Well Spent (in Mexico). 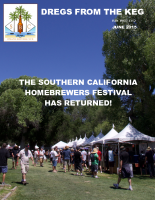 Getting ready for the 25th Southern California Homebrewers Festival, congratulation to Jim Hilbing, brewery safety and starting a hop farm. 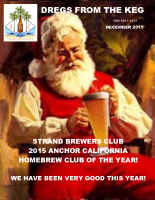 Strand Brewers Club is the Anchor California Homebrew Club of the Year! 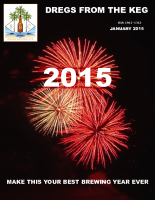 Tribute to Jeff Sanders and Iron Brewer Legacy.